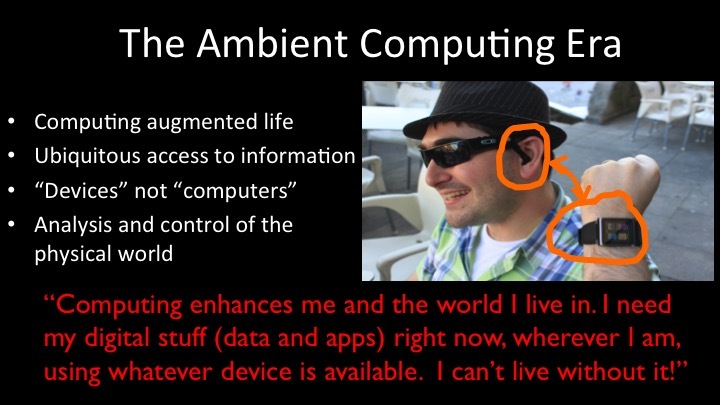 In the Ambient Computing Era humans live in a rich environment of communicating computer enhanced devices interoperating with a ubiquitous cloud of computer mediated information and services. We don’t even perceive most of the computers we interact with. They are an invisible and indispensable part of our everyday life.